Storage tank UKV has several different areas of use. UKV can be used with external control of the heating system. 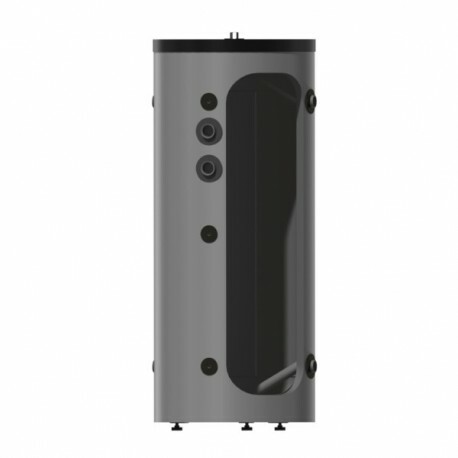 The heat pump then charges UKV with floating or fixed condensing. The external control function controls the heat distribution from UKV to the consumer. If the flow to the heating system can be throttled with radiator thermostats for example, install a UKV as an intermediate tank. This ensures a secure flow for the heat pump. Storage tank UKV also allows agreater flow to the heating system than across the heat pump. In some installations, so - called heat spikes occur as aresult of movements during temperature changes. To eliminate temporary temperature changes, and the reby prevent heat spikes, install a UKV after the heating installation.